Breaking with tradition, Prince William and the Duchess of Cambridge opted to have their first family portraits taken by a family member and not an official photographer. 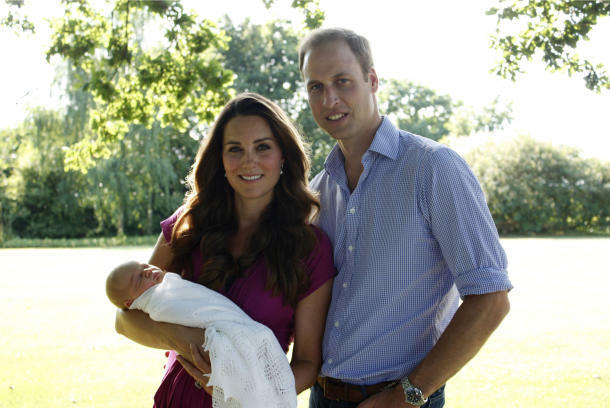 The Duchess’ father, Michael Middleton, took the photos in early August at the Middleton family home in Bucklebury. Even their dog, Lupo, and the Middletons’ retriever, Tilly, joined in on the fun! 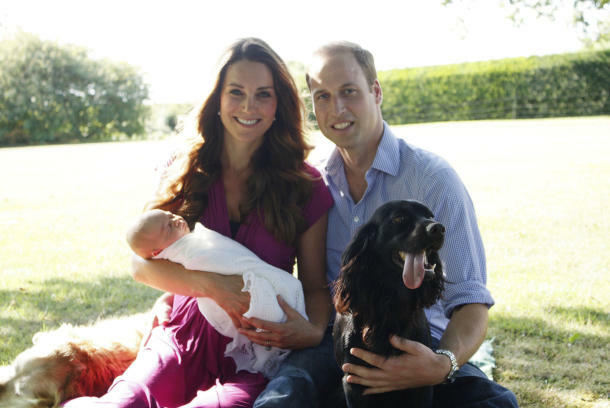 “For me, Catherine and now little George are my priorities — and Lupo,” the prince said with a smile. Thankfully Lupo, the couple’s Cocker Spaniel, seems to be on board with the new addition to the family.